In your web browser – copy the website address (URL) from the address bar. 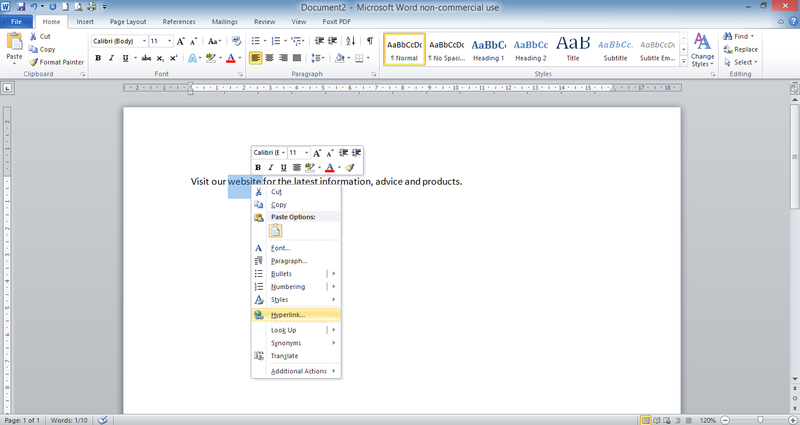 In the Word document – Select the text you want to be the link. Right-click on the text. Select Hyperlink. Paste the website into the ‘Address’ box at the bottom. Click ‘OK’. The link has been created – the text will turn blue and underlined. Test the link works by clicking on it. 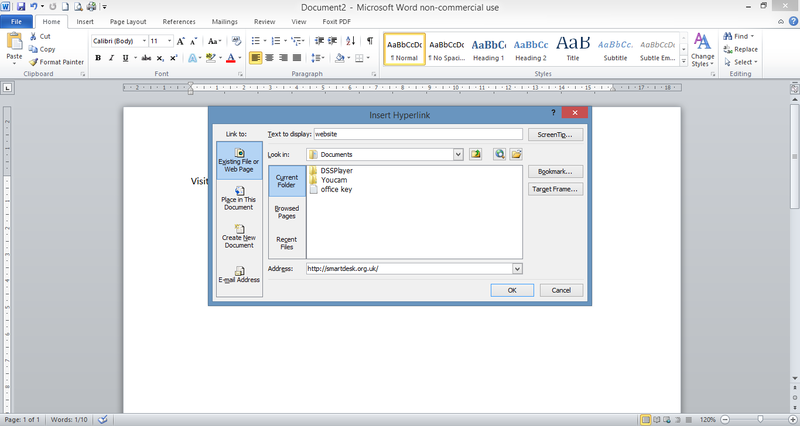 You have just inserted a link to a webpage into a Word document. 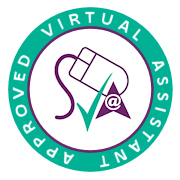 Looking for someone to type and format documents for you? Contact me to discuss your needs. All types of general office tasks including filing, photocopying, data entry, audio transcribing and event planning. We can create documents for you including: correspondence, reports, presentations, case studies, procedures, training materials, handbooks and website content. Copy writing, research, proofreading and editing all undertaken. With years of experience in public sector project work, whatever your plans are we can help you achieve them without the stress. From a one-off project to regular monthly support, using Smart Desk is good value for money for freelancers and small businesses. @ceritheviking I thought this was a @thedailymash article. I'm still not convinced it isn't. @AngharadLlur @SuTurney This is exactly what it's like! © 2019 Smart Desk Business Services. All Rights Reserved.